Cerulean Warblers breed in large tracts of older deciduous forests with tall trees. In the Appalachian Mountains many warblers nest on north and east-facing slopes and seem to gravitate toward gaps or openings in the canopy. They tend to use white oak, cucumber magnolia, bitternut hickory, and sugar maple for nesting and foraging, typically avoiding red oak and red maple. During migration, they forage and rest in primary and secondary tropical forests, shade coffee plantations, and scrub. On the wintering grounds they occur in evergreen forests, woodlands, and shade coffee plantations on the eastern slopes of the northern Andes from 1,600 to 6,500 feet. Cerulean Warblers are insectivorous, eating primarily insects such as flies, beetles, weevils, and caterpillars. In the winter, they also eat some plant material. They hop along branches in the canopy and pick insects from leaves and twigs. Together male and female Cerulean Warblers choose the nesting location. They tend to pick white oaks, cucumber magnolias, and sugar maples. They place the nest on a branch in the canopy with clumps of leaves concealing the nest site from above. Nests are often placed near gaps in the canopy. Nest height varies considerably, from 16 feet to 115 feet above the ground. Females weave together bark fibers, grass stems, and hair that they bind together with spiderwebs to form a cup-shaped nest. Males occasionally help collect spiderwebs at the beginning of nest construction. Egg Description: Grayish to greenish white, speckled with brown. Cerulean Warblers hop along branches in the canopy searching for insects. In Arkansas and Tennessee researchers found that they tended to forage in the top third of the tree. Breeding pairs aggressively defend their canopy territories. Males sometimes attack each other, grappling with bills and feet as they tumble toward the ground. Pairs stay together for the breeding season, but their canopy lifestyle makes studying their nesting behavior challenging. On the wintering grounds, Cerulean Warblers occur in mixed-species canopy flocks primarily foraging with tropical tanager species. Cerulean Warblers are uncommon and their populations declined by 72% between 1970 and 2014, according to Partners in Flight. They are a Yellow Watch List species with a declining population and have a Continental Concern Score of 15 out of 20. The International Union for the Conservation of Nature (IUCN) lists them as vulnerable. 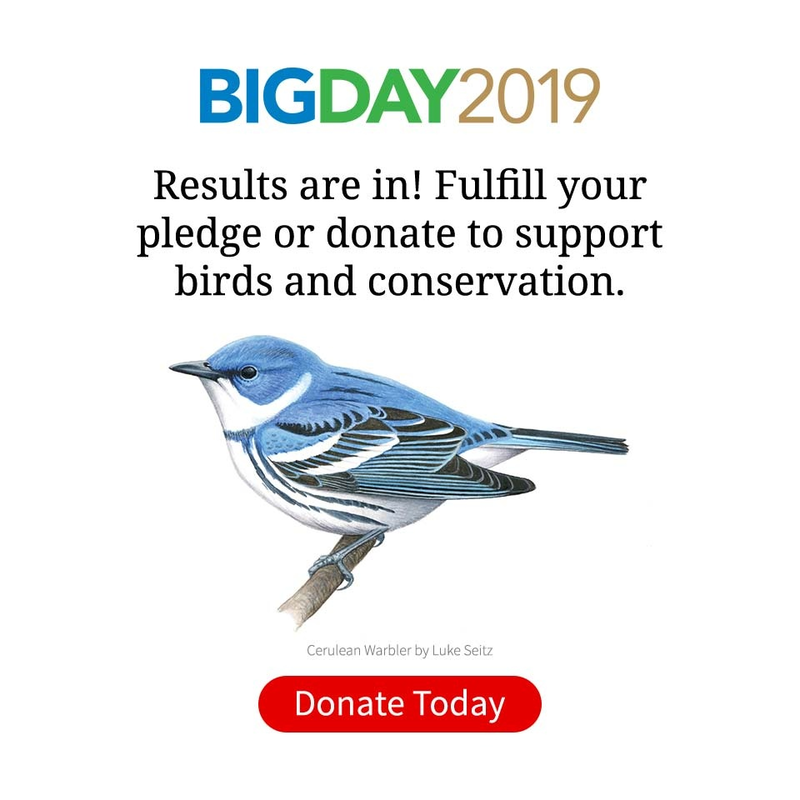 Partners in Flight estimates a global breeding population of 570,000, and states that if current rates of decline continue, Cerulean Warblers will lose another half of their remaining population by 2041. Cerulean Warblers were abundant throughout the Ohio and Mississippi River valleys during the nineteenth century, but they no longer breed throughout much of the area due to habitat loss. Loss and degradation of habitat on the breeding and wintering grounds appears to be the primary driver of population declines. Conservation efforts aimed at reversing these declines are focusing on forestry practices such as long rotation timber extraction and selective logging to create natural canopy gaps and uneven-aged forest stands. Buehler, David A., Paul B. Hamel and Than Boves. 2013. Cerulean Warbler (Setophaga cerulea), version 2.0. In The Birds of North America (P. G. Rodewald, editor). Cornell Lab of Ornithology, Ithaca, New York, USA.